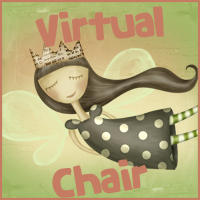 Bookittyblog YA Book Reviews: Blog Tour: Survivor Roundup by Angela Scott Review and Giveaway!!! 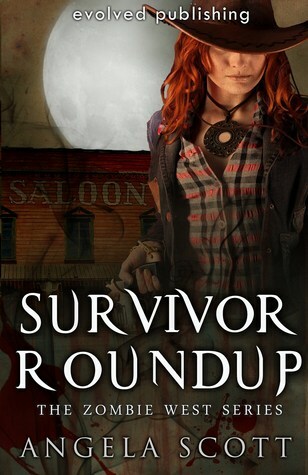 Blog Tour: Survivor Roundup by Angela Scott Review and Giveaway!!! Amazon. Add the†Zombie West Omnibus†to your Goodreads to-read shelf! I fell in love with Angela's writing when I read the first book in the series Wanted: Dead or Undead. She has this gift to engross the reader from page one. Her books are hard to put down. 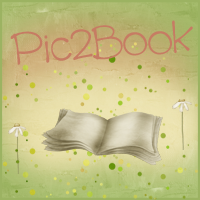 Like the first book in the series Survivor Roundup is full action and zombies! At times I thought the suspense would kill me. It was that amazing! I'm actually not a big fan of zombie books but I'll always make an exception for Angela's books. I was surprised at how easy details from book one came back to me. I read the first book in 2012, and thought that it would be hard to get into this one but it was so easy to get lost in the story. I loved that we got the same kind of awesomeness, suspense and action from book one. We see new and old characters in Survival Roundup and they are all fascinating. Red like always was such a strong character and so fearless! River was amazing also. This little girl was so mature for her age but at the same time you could feel that she really was a little kid. I'm in love with this series and wish it was more popular because whoever hasn't read these books are missing out big time! The Wild West is hard enough to survive with its native territory, wanted outlaws, and harsh terrain, but with a plague turning civilized people into brain-eating monsters, survival becomes nearly impossible. Red has lost everything to the fast-spreading disease: her family, her trust in mankind, and her hope for a better tomorrow. When she meets Trace, a smooth-talking gambling man whoís more city boy than cowboy, sheís forced down a path sheíd been avoiding for years. Until his arrival, sheíd lived by a certain set of rulesódonít ask names, keep to yourself, donít let anyone too closeóbut the jackass of a man wonít let her be, and he has an uncanny knack for appearing at all the wrong times and in all the wrong places. Each, with a secret of their own, will need to learn that only by working together do they have any chance of surviving The Zombie West. That is, if they donít kill each other first. [Angela Scottís†Zombie West†Omnibus†includes the three books in the†Zombie West†series†WANTED: DEAR OR UNDEAD, SURVIVOR ROUNDUP, and DEAD PLAINS. Find these books on†Amazon,†Barnes & Noble,†iTunes,†Kobo, and†Smashwords.] Genre classification:†YA/Western Romance/Action and Adventure/ with added zombies for utter mayhem. Angela Scott hears voices. Tiny fictional people sit on her shoulders and whisper their stories in her ear. Instead of medicating herself, she decided to pick up a pen, write down everything those voices tell me, and turn it into a book. Sheís not crazy. Sheís an author. For the most part, she writes contemporary Young Adult novels. However, through a writing exercise that spiraled out of control, she found herself writing about zombies terrorizing the Wild Wild Westñand loving it. Her zombies donít sparkle, and they definitely donít cuddle. At least, she wouldnít suggest it. She lives on the benches of the beautiful Wasatch Mountains with two lovely children, one teenager, and a very patient husband. She graduated from Utah State University with a B.A. degree in English, not because of her love for the written word, but because it was the only major that didnít require math. She canít spell, and grammar is her arch nemesis. But they gave her the degree, and there are no take backs. Don't forget to†add the†Zombie West†Omnibus†to your Goodreads to-read shelf. Connect with Angela Scott on her†website,†Facebook,†Twitter, and†Goodreads. It's great when you read a sequel to a book long after reading the first and are able to get right back into it. I can honestly say I have never read a western zombie book before so thanks for sharing! I actually really like zombie books, and a zombie book set in the old west sounds SUPER fun! I'd never heard of this series before, so thanks for the review. :) I may have to check it out. I have never heard of this series but it sounds awesome! I love the zombie and old west theme! Thanks for the great review, hon! Glad you enjoyed this one so much! I have never heard about this series before, so thanks for putting it on my radar. Zombies + Wild Wild West can only mean one thing: awesomeness :) I'm really looking forward to reading this now! THis sounds like a really fun series! I love the old west mashed up with other genres! Ooh action and zombies! What more could I want? I'm a huge zombie fan so this series is def right up my alley and I love how mu suspense and adrenaline it seems to have! I'm also so bad at forgetting that when I remember quickly like that it's a sign of a good series! ;) Great review, muffin! I loved her all novels that she writes for both young and adults. I am also like to read Zombie books in which her explore the history of Zombies. Interesting sharing and I must read this book during my grand canyon tours from vegas.